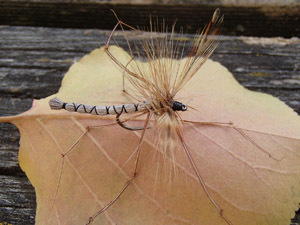 Fish in smaller creeeks, but also in mountain lakes feed mainly on terrestrials, you should also have a few in your box. Best fly for fishing the mountain lakes in summer time. 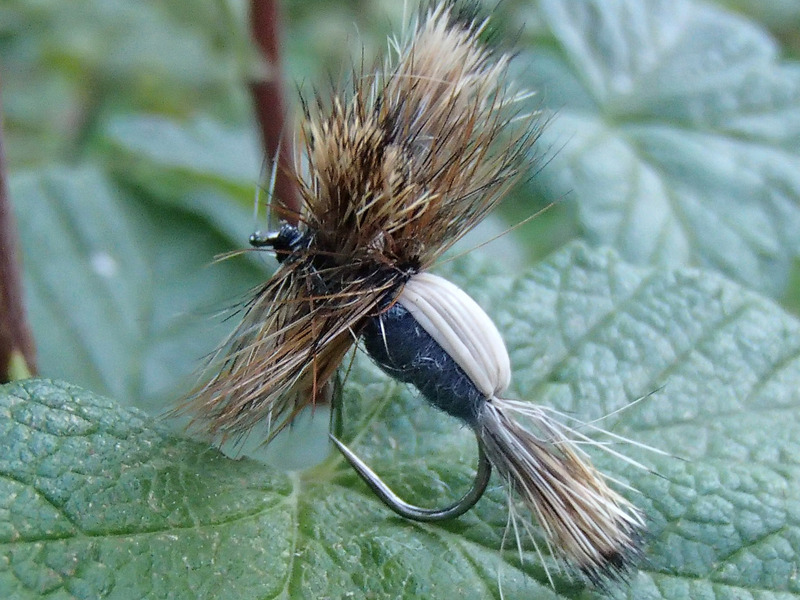 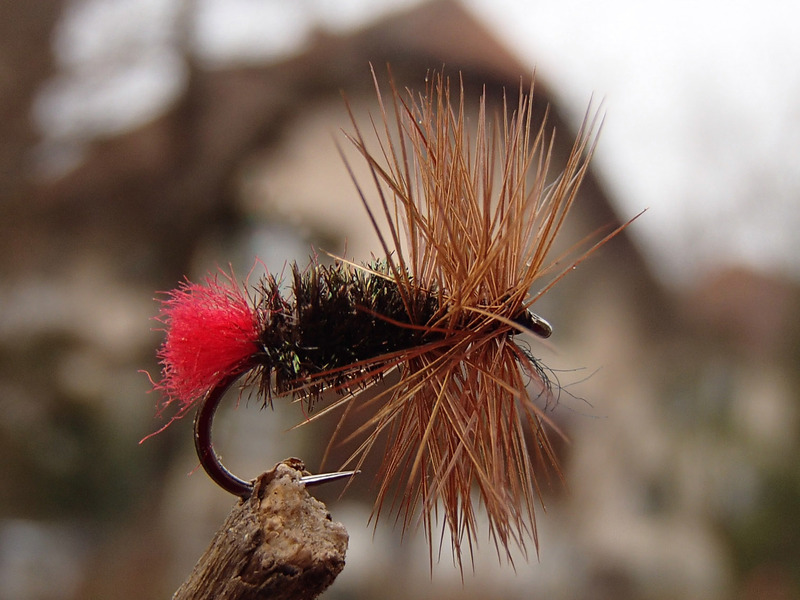 Classic US- Hopper in high quality- use it in summertime in small creeks- you'll be surprised. 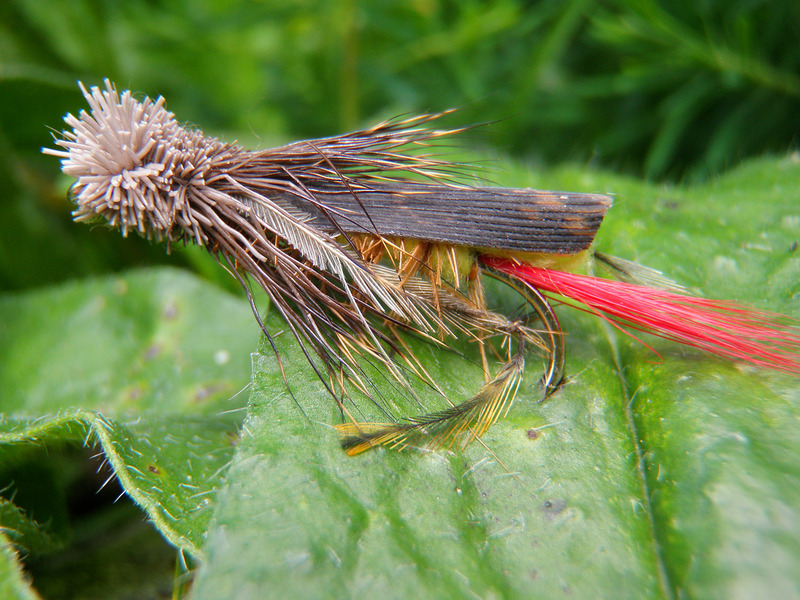 One of the world most renown beetle patterns. Swims even in strongest currents very good, makes rise the big fish. 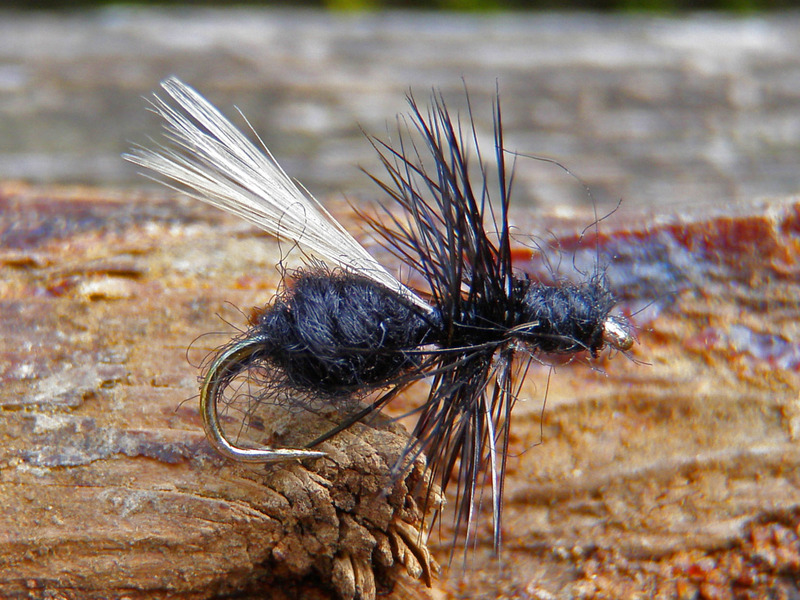 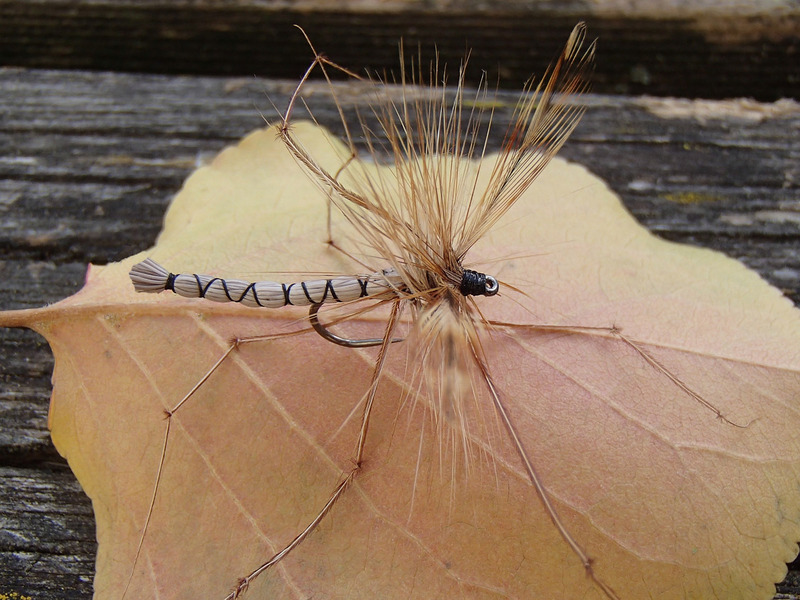 This fly is the key on late summer days in creeks and smaller rivers- just because the crane flies or Daddy Long Legs are then often so abundant, that they play the role of the major food source of the trout.